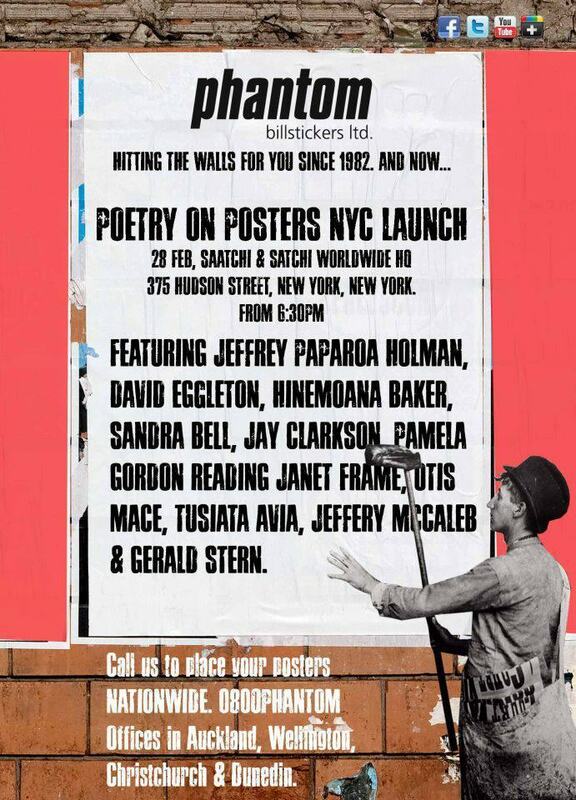 Kiwi Poets in New York! Featuring Hinemoana Baker, Tusiata Avia, David Eggleton, Sandra Bell, Jay Clarkson, Pamela Gordon (reading Janet Frame), Otis Mace and Jeffery Paparoa Holman. This cultural event is free and open to the public; however, a reservation will ensure your space. RSVP by sending your name to kiwipoets@0800phantom.co.nz. Brought to you by Phantom Billstickers Ltd with support from Creative New Zealand Toi Aotearoa and Saatchi & Saatchi.